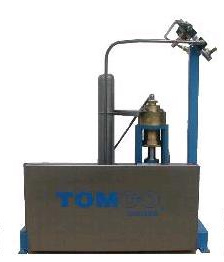 Operating a cylinder fill facility or just transferring low pressure liquid CO2 the TOMCO Systems full line of CO2 pumps provides consistent and reliable operation. With pressures up to 300 gallons per minute (1,136 liters/minute) for transfer and 35 lbs/minute (15.88 kg/min) for filling operations you are assured rapid and efficient transfer of product. Excellent integration with dip tube and fire extinguisher cylinders as well.